Collaboration tools to make your work day move faster. We're losing one hour of sleep, one hour of the day on March 11th, 2018—so how might we manage the possible productivity loss? The future of work is all about time management and how we can all work smarter and better. That's where Cisco collaboration tools comes in. So if you're worried about a shorter work day or perhaps other productivity concerns like travel, remote working, and multiple meetings, collaboration tools could help alieve some worries. Cisco states in a report that 3 out of 5 people multitask in meetings instead of participating, and that 35% of respondents said meetings were a waste of their time. In terms of how much multiple meetings can cost a business, Cisco found that 15% of an organization's collective time is spent in meetings, possibly causing $37 billion in loss due to unproductive conferences. Cisco's answers to these issues include setting clear goals and agendas, setting lengths of the meeting to match that goal, and also having the right tech like video—something that helps in conveying ideas and capturing attention. A software-based platform for HD video conferencing and messaging. Cloud-based collaboration tool for meetings, messaging, sharing, and whiteboarding. Touch-based presentation, whiteboarding, audio and video conferencing. Video collaboration room kits with automatic screen integration and in-room controls. Affordable online meetings for organizations of all sizes. 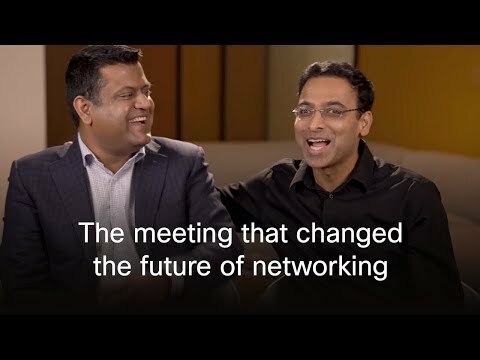 To learn more about Cisco's future of meeting opportunities that could save you an extra hour (or more), check here.